Just taking a moment to let everyone know that Ninna-ji is open during the New Year holiday! 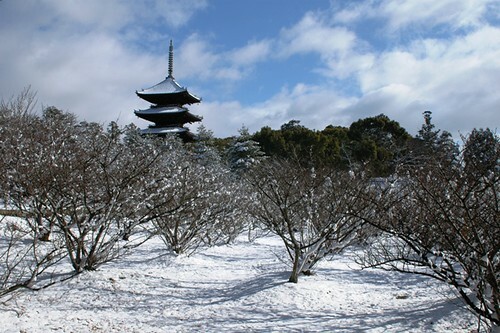 If you are visiting Kyoto during New Year’s be sure to come visit Ninna-ji, but bundle up — it’s cold! There were snow flurries early this morning and this afternoon at the temple today. The weather is very chilly and it looks like we might get some snow this weekend, a snowy Christmas might be in store for Kyoto.